LIFE IS MOST CERTAINLY A BEACH, ESPECIALLY IN SOUTH KOREA! We're talking the good kind of beach, if there even is a bad kind. Most foreigners wouldn't suspect South Korea to be a country of many renowned beaches. However, most are mistaken since South Korea is almost completely surrounded by water with 2,413 km of coast (similar to Taiwan). That's a whole lotta water, and a whole lotta beaches! Got your attention? 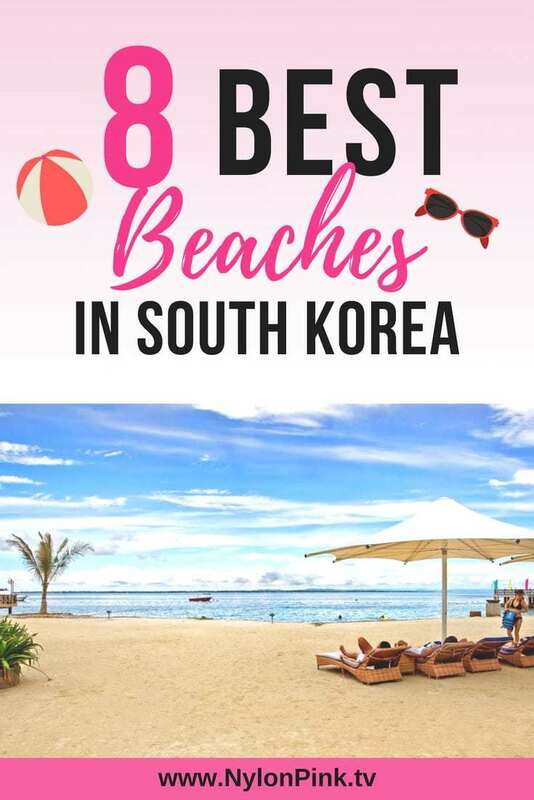 It got ours, so read on if you want to find out more info about some of the best beaches in South Korea. What?! South Korea has beaches? That was my initial reaction. 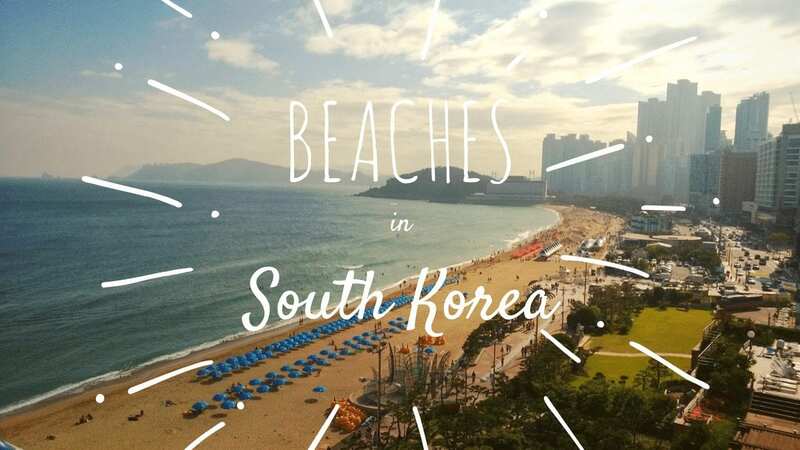 Although South Korea is mostly known for its brilliant culture, futuristic architecture and nightlife, damn delicious food, and endless shopping, their beach life is pretty extraordinary. 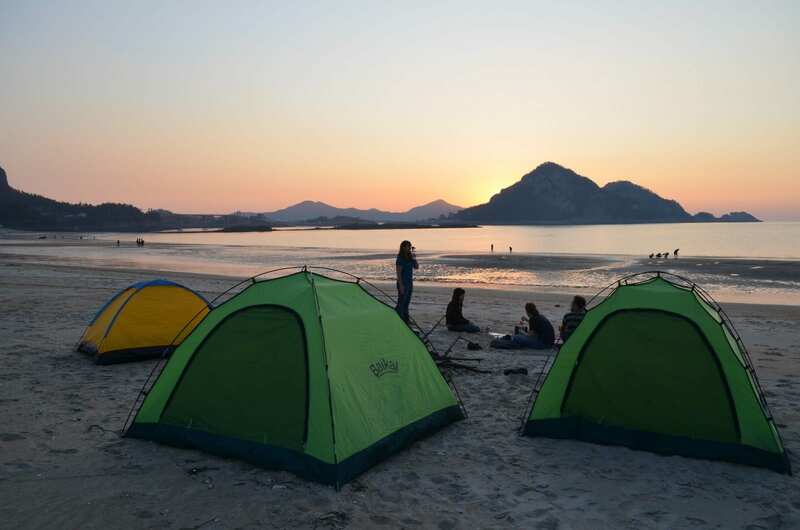 With beautiful temperatures between 75-85 degrees Fahrenheit, summers in South Korea are perfect for beach activities. If ​you're wondering when the best time to visit Seoul is for that perfect tan, summers in South Korea begin in June and end in the beginning of September (just like in the US! Hooray!). Although Seoul is a futuristic metropolitan city and has no sandy coasts, the surrounding areas proved plenty of surface area for you to get your perfect summer tan. We found some of the best locations for your next trip! This is probably one of the hottest beaches in the country. I'm not talking about the actual heat (unless you're into that). If you're looking for a place to soak up the sun, catch some delicious food, and get pampered and some fine hotels, this is the beach for you. 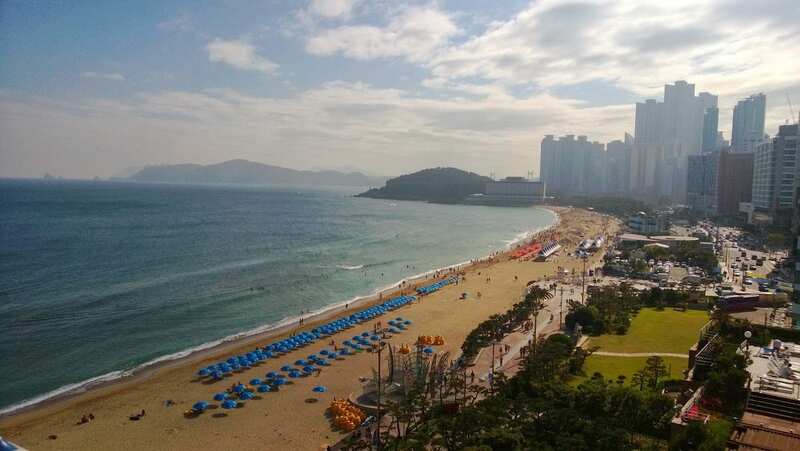 Located in Busan, about 40 minutes away from the main railroad station, it's a very popular spot for vacationers. It's relatively close to the hustle and bustle of the city allowing easy access to the beach. It's also a hot spot for the New Years Sunrise where around 1,000 people gather on the beaches to watch the event. Since the temperatures are relatively calm throughout the entire year, this is an excellent beach to visit year round. For those of you who are more into nature, this is a gorgeous beach that holds various different wildlife and colors. Unlike most beaches with white or tan sands, this beach had sands of various colors ranging from white, red, and black. The coasts are adorned with beautiful cliffs and sparkling blue waters that create a breathtaking site. Yeah...just looking at this photo makes me want to know what's up with Daecheon Beach. Located on the west coast, it is the largest beach on its side of town. Because of it's calm waters, it's a great place to visit for the family and any level of swimmers. However, what this beach is mostly known for is housing the Boryeong Mud Festival. During the summers, people from all over the globe make their way to this beach to participate in all sorts of muddy activities. They have mud wrestling, mud sliding, mud swimming, and...did I mention mud wrestling? It's a bit of a messy shot, but hey, I heard mud was actually great for your skin. ​Worth it! This gorgeous beach is part of a series of 20 different islands. The three islands that are closest to this beach are Munyeodo, Jangjado, and Daejangdo. If you're the outdoors type, this is the beach destination for you. The white sand beaches are filled with super soft sands and there are plenty of activities to do such as hiking, fishing, and bicycling. Many love to camp on the beaches since the weather is perfectly temperate and the ocean is so peaceful.​ Even if you get bored of the beach (which I sincerely doubt you will), you can even travel to the nearby islands by bridge. It's definitely a beautiful and adventurous travel location you have to write into your bucket list. Super swimmers out there, this is your beach! Since the waters are shallow and the waves are mild, this beach is the perfect place for swimmers to enjoy the ocean. The gorgeous beach is full of clear blue waters that you can easily see the bottom of the ocean, making it easy for swimmers to maneuver through the water. 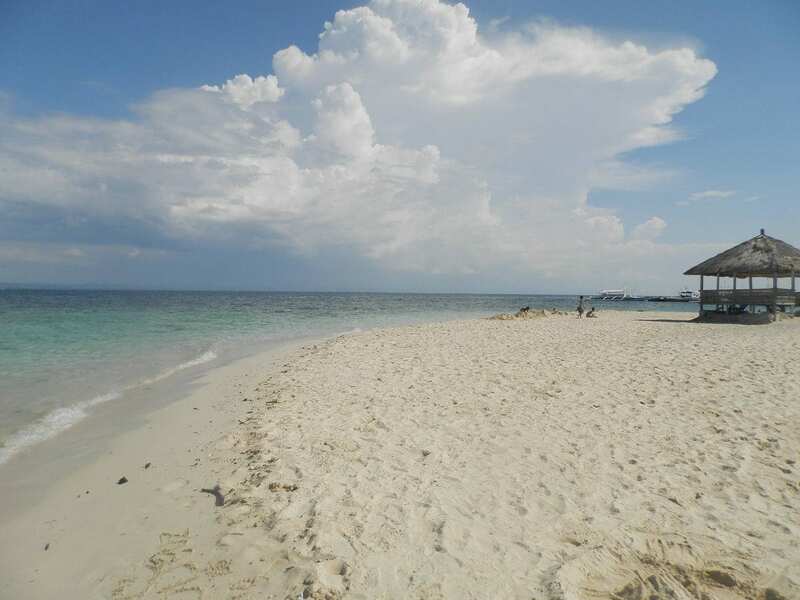 The white sandy beaches are also great for families and young children since the waters do not go deep and the shallow beaches extend for quite distance. You can even explore marine life in some of the shallow pools. 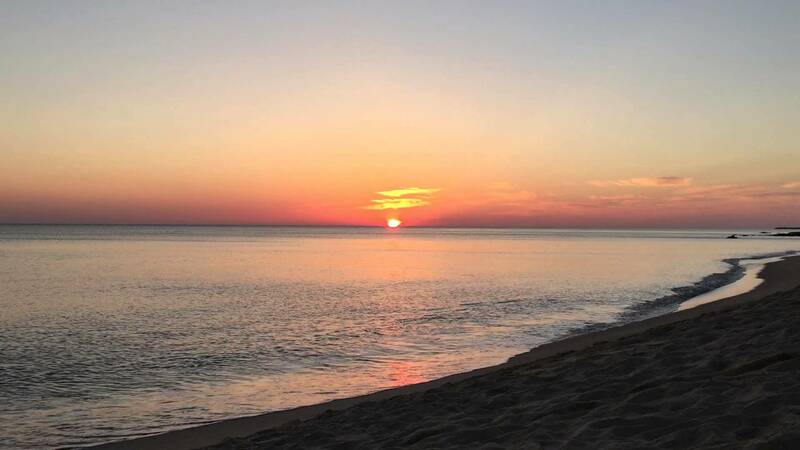 It is also an excellent place to camp alongside the beach, and there are many campsites with amenities that you can choose from. On the east coast, Gyeongpo is the largest beach, measuring about 1.8 kilometers of beautiful, flat, white sands. The sands are extremely soft and fine, so it's perfect for those romantic walks on the beach. It is also known for it's gorgeous sunsets. Finally, we hit the southern border! Naksan beach stretches about 4 kilometers across the southern coast of South Korea. 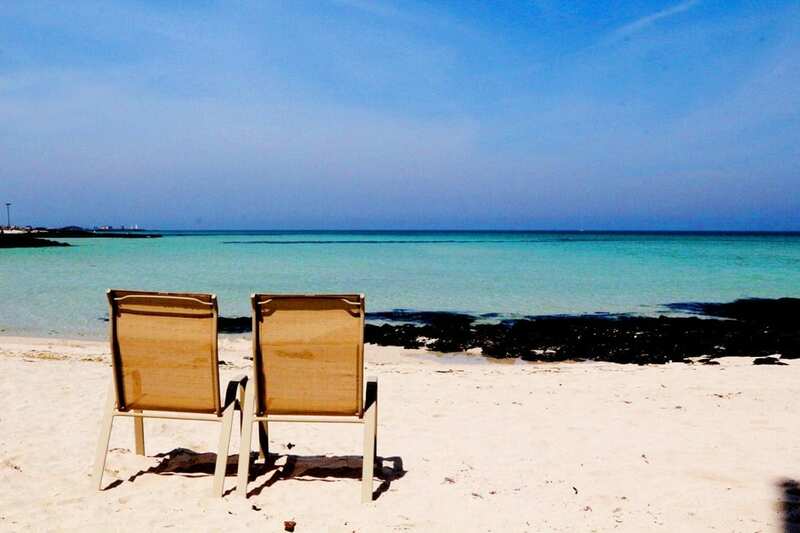 If you're a fan of clear blue water an white sands, you know where to book your next trip. Usually most people will book for some of the popular beaches. However, this beach is under rated, and thus, much quieter than the other bigger beaches. 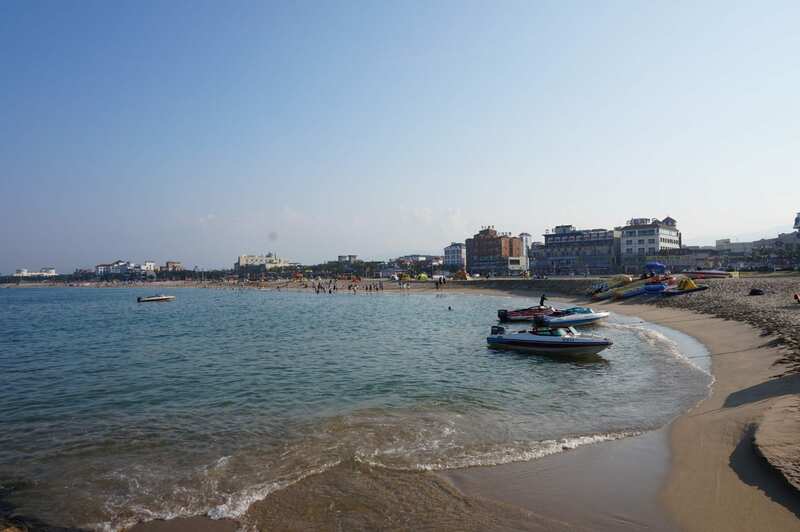 Also, if you're planning a trip with the family, the seaside town is a perfect place to visit. Because it caters to the small town a few visitors, many of the workers are very friendly and accommodating. Plus, Naksan beach is home to the phenomenal Naksansa Temple. Its' definitely a must-see! 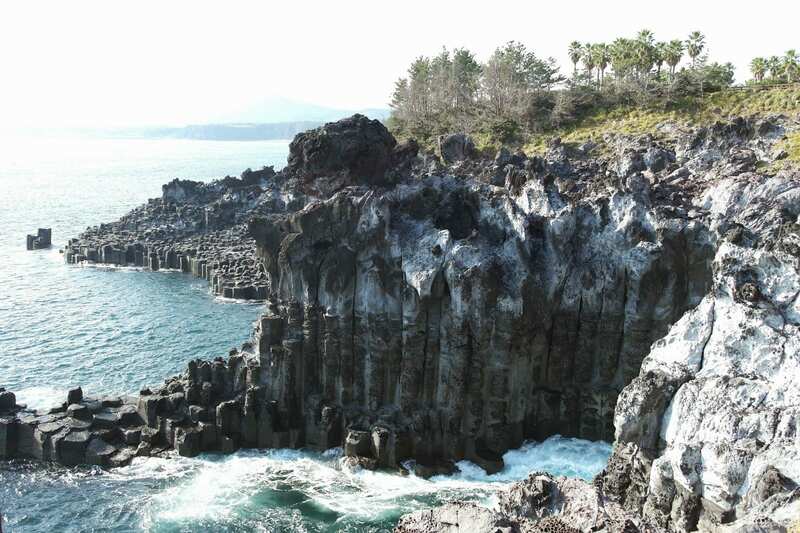 Last but not least, this historic beach is located in the Jeollanam-do province. This area is known for its traditional folk culture and customs. This beach is located at the furthest southern tip of South Korea with beautiful warm temperatures. The beaches are filled with beautiful white sands and assortments of shells. Naturally, collecting shells has become a popular tourist attraction on these sands. The waters are very calm and shallow, making it easy for children to swim in. For those that want to get away from the coast, a peaceful pine forest is located walking distance from the beach.